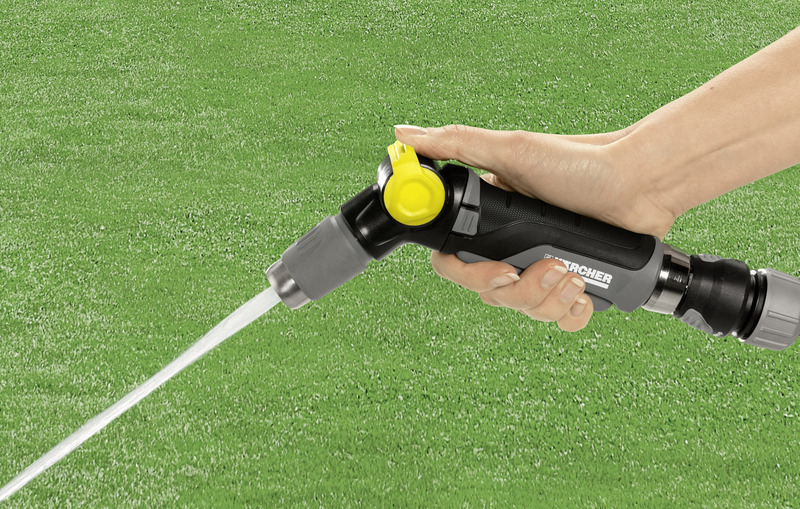 Spray Gun Premium 26452700 https://www.kaercher.com/ie/home-garden/watering-systems/nozzles-and-spray-lances/spray-gun-premium-26452700.html Spray Gun Premium with soft grip components and unique rotating handle for push and pull operation. Shower to fine jet spray pattern and water flow regulation. Works with all other brands. 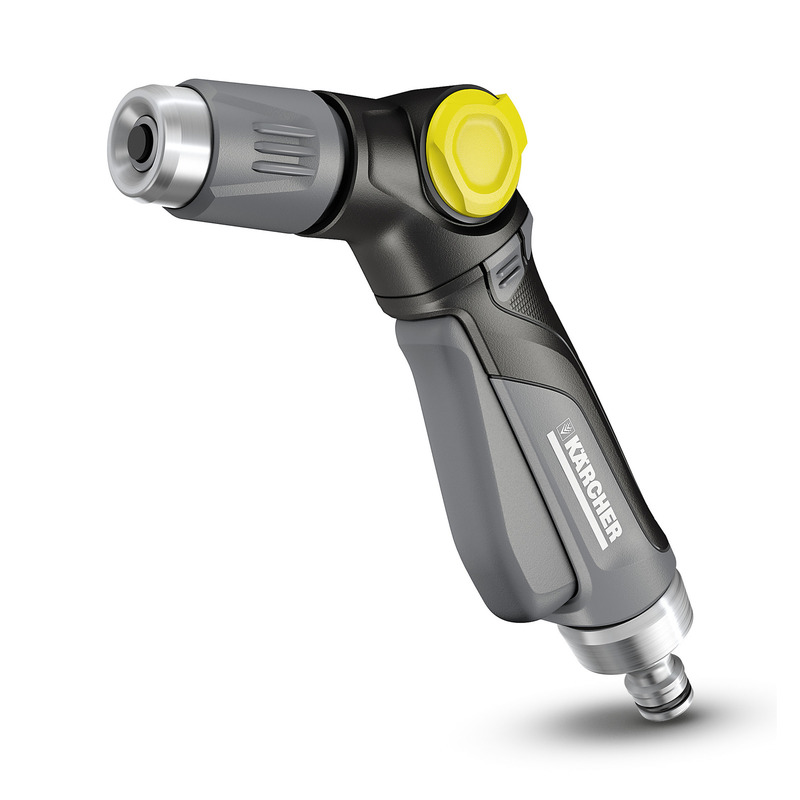 Spray Gun Premium with soft grip components and unique rotating handle for push and pull operation. Shower to fine jet spray pattern and water flow regulation. Works with all other brands. The Spray Gun Premium comes with the innovative rotating handle and soft grip components for easy and comfortable watering. With spray patterns from fine mist to pencil jet, the spray gun premium can be used for all watering needs and also cleaning garden tools. The new rotating handle allows the user to change the trigger from either a push or pull system. The Premium range of spray guns come with metal components, making them extremely robust and long-lasting. All Kärcher watering products are compatible with all other watering brands.